In a way, the approach thus far has been very straightforward. Even after abolishing ‘asylums’ for mental illness, Tom Kitwood pointed out the remains of the asylum days. That is, with all the best will in the world from all parties involved, a tendency towards ‘warehousing’ of people with later stages of dementia. In such places, often framed as microcosms apart from the rest of society, ‘care’ is meant to take place, but historically with an overdependence on drug rounds rather than a resident’s need to have a haircut, for example. Whilst many professionals do not wish to see care as transactional, there is recurrent use of this language by think tanks and policy makers. This managerial approach fragments life into processes which can be easily identified and, if need be, costed. 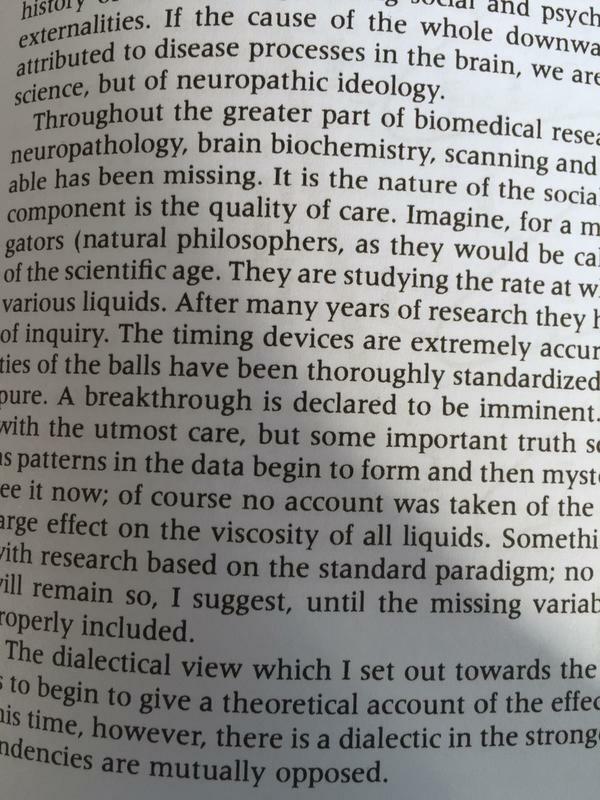 One of my biggest surprises is re-reading Tom Kitwood’s “Dementia reconsidered” was his prophecy about the impact that the hybrid market of the NHS and Community Care Act (1990) might place. Care should be care regardless of setting, and care does not necessarily have to be institutionalised. But there are simple ways in which care institutions do not have to be cut off from the rest of the society – why not have WiFi in these places? But of course, this goes way beyond WiFi. The drive towards ‘relationships centred care’ was a reconfiguration of person-centred care, but which did not ignore personhood. Reminding myself of Kitwood’s flower, known a decade before the travesty at Mid Staffs, it is clear to see how fundamental aspects of personhood could have mitigated against bad care. Whilst there is a lot of extremely good care, there are some ‘spoiled apples’ such as Mid Staffs – which subsequently has tried a ‘clean break’ and Winterbourne. But it would be a danger to regard them simply as ‘spoiled apples’ or freak occurrences, as indeed Morecambe Bay pointed out. Markets involve transactions. What Tom Kitwood warned about, albeit subtlely, is very important in my view. What has gone wrong in recent years is care environments being run for a ‘surplus’ or ‘profit’, with budgetary pressures such as PFI loan repayments. Staff themselves have been viewed as a commodity, and the tendency to run a healthy budget sheet has to be run a minimum of staff with minimum time to care – which can render initiatives such as 6Cs ineffective. A “health transaction” which is under-resourced and rushed is likely to be unsafe. But that is not to say money solves everything. And while we’re on the money there seems to be plenty of money elsewhere, for example in finding a ‘cure for dementia’, the ultimate nirvana which Kitwood indeed warned about. Neither the person living with dementia nor caregiver wish to be involved in a ‘woe is me’ ‘victimhood’ race to the bottom, but the pressures for not being appreciated properly are huge for both parties. Despite think tanks and policy makers wanting to ‘measure it’, the quality of person-centred care has been hard to define. That’s because, I believe, personhood is fundamentally about relationships too, as well as the uniqueness of the person at that particular place and time. 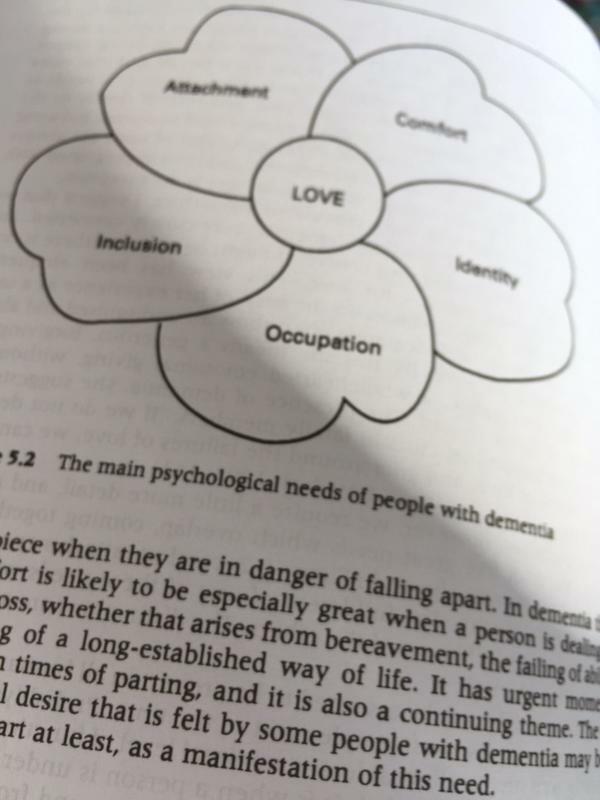 Kitwood’s own definition on page 8 of ‘Dementia reconsidered’ pulls no punches. A quality of care for dementia is not necessarily the same as the quality of medication. Take for example the lack of effects of the vast majority of ‘dementia drugs’ on quality of life. But quality of care, one would pretty readily concede, is linked to the quality of relationships. The idea that relationships involve emotion and affect, and reciprocal, is clearly defined in the construct of ‘relationships centred care‘. But as a financial transaction, this is hard to measure; and Kitwood conceded there is not real competition for the market to be effective (p.44). And striking is Kitwood’s claim that ‘In particular, people do not know what they need and can be easily deceived by ‘experts’ who act for economic motives’. Another view of this would be to all embracing and for it to be reframed yet again as ‘patient and family-centred care’. But note the reference to ‘care transactions’ on this page, and the construct appears more like a service to sell rather a frame of mind arguably. And not everyone has a family. In my final book on residential care (including care homes and nursing homes), I will reset the direction of the compass of ‘person-centred care’, a term used by Kitwood himself, to orient it more to what I think Tom Kitwood himself meant: “personhood focused relationships”, which can indeed be applied to residential care settings.